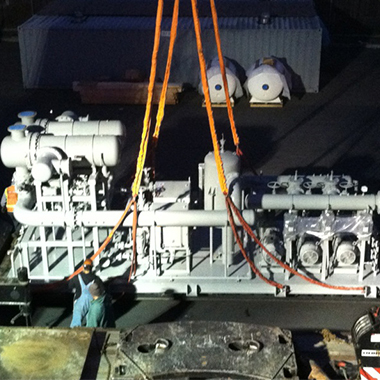 A turnkey solution for massive logistical coordination. Stanford University is one of the world’s leading research and teaching institutions. Due to the variety of campus buildings and occupancies served by the existing central plant, the central plant systems were experiencing a 70 percent overlap of the heating and cooling demands. To efficiently meet the university’s diverse heating and cooling loads, a new central plant was designed to eliminate much of the heating and cooling overlap and recover heat from the new, modern chillers. 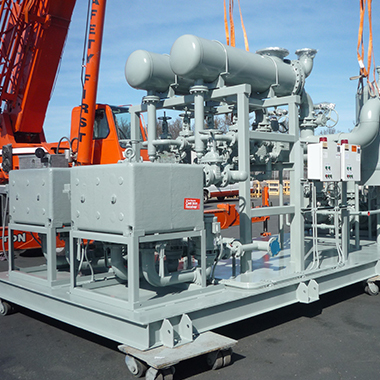 Flowtherm systems provided larger heat transfer systems for this project to allow Stanford to decommission the existing central plant in phases with little impact to the University’s operation. The new central plant systems also preheated the medical centers domestic hot water—utilizing FlowTherm domestic hot water systems to improve the efficiency of the central plant equipment. The heat recovery system meets 93 percent of the heating load on campus with waste heat while reducing total campus water consumptions by 15 percent. With the central power plant on campus shutting down in four phases over the course of three years to install more than 20 miles of hot water piping and convert 155 buildings (all while the campus remained in use)—it goes without saying that organization and collaboration was the top priority. To coordinate everything from the scope of work down to specific logistical restrictions, we met countless times with the general contractor, the mechanical contractor, and Stanford facility engineers. These coordination meetings were held with all trades to determine the best points of connection, electrical/piping interfaces, and solutions for dimensional and timeline restrictions. The result was an efficient and successful project for the contractors and the University. 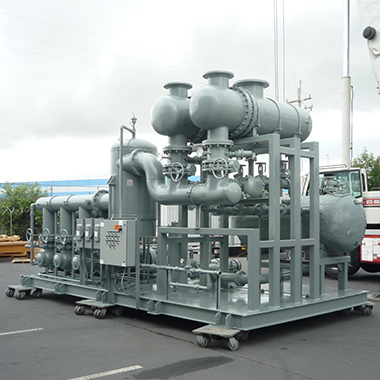 As each phase of piping and building conversion was completed, that section of the campus moved off steam and transitioned to hot water via a regional heat exchanger that converts steam from the existing cogeneration plant to hot water at the district level.